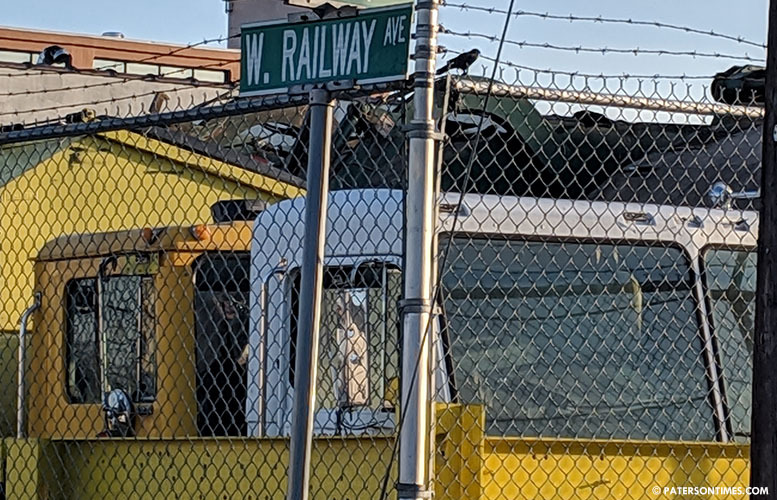 The city is naming a portion of West Railway Avenue, from Crooks to Genesee Avenue, after Anthony Robert Gaeta, Jr.
Gaeta ran his family’s business, Gaeta Recycling which operates out of a building on West Railway Avenue, until he died two years ago. “You guys have been a staple in the South Paterson community,” said councilman Al Abdelaziz, who sponsored the street naming measure, to a group of employees and family members last week. The company was founded by Gaeta’s grandfather Domenico in 1935. Under Gaeta, the company expanded its footprint in South Paterson. It employs 180 people, 60-percent of them are Paterson residents, according to an official at the firm. Gaeta’s charitable work for St. James Church, Eva’s Village, Oasis, YMCA, and the Boys and Girls Club of Paterson are cited in the resolution naming the two blocks after him. He also sponsored youth baseball teams and donated recycling pick-up services to local elementary schools. Gaeta died on Feb. 24, 2017. He was born at the Paterson General Hospital to Dollie Mae and Anthony Robert Gaeta, Sr. of Totowa on Mar. 10, 1955. Councilman William McKoy praised Gaeta for his “contribution” to the community. He became more famous for his contribution to politicians five years ago. Gaeta donated thousands of dollars to political campaigns. His donations to his friend, mayor Andre Sayegh, was spotlighted in reports in the Paterson Times in 2014. At the time, South Paterson residents criticized then-councilman Sayegh for overlooking quality of life problems created by Gaeta Recycling. Sayegh’s mayoral loss five years ago was partially due to the reporting involving Gaeta Recycling. Gaeta Recycling begins its operation at 4 a.m., running its trucks and waking up residents. In the summer months, the company’s garbage creates a stench problem in the neighborhood. The New Jersey Department of Environmental Protection (DEP) cited the company in 2014 for idling diesel-powered trucks and polluting the air. It was also cited by the Passaic County Health Department for noise pollution from trucks. The two blocks of West Railway Avenue will be also known as Anthony R. Gaeta Avenue, according to the resolution passed without opposition last Tuesday. Pretty soon the entire Paterson street will be undergoing a name change. This just poses confusion. Just recently I read that union ave will be rename . I remember when union ave was dominated by blacks and Hispanics. After few weeks ago one commenter had a similar observation. I agree with you Miss. Jamaica! 1. The residents of the city? 2. The residents of the 6th ward? Meanwhile, Google is having trouble keeping up with the street name changes and updating Google maps!